BMW AG is pitching its new X1 small crossover in viral campaigns on social networking Web sites long before traditional marketing of the vehicle begins. The X1 is being promoted on Facebook, Twitter, MySpace and YouTube in an effort to click with buyers younger than the brand's typical owner. 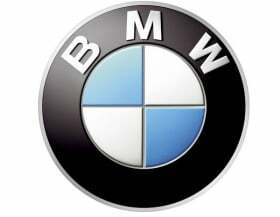 The average age of a BMW buyer is 48. Tony Douglas, innovations manager at BMW's marketing department in Munich, says X1 owners will range from the mid-30s to early 40s. The X1, which is based on the 1-series subcompact, goes on sale in Europe this autumnl and in the United States in late 2011. The cost of advertising on social networks is much lower than traditional TV and print advertising. But Douglas says the difference with the social networking audience is that "you don't buy it, you have to earn it." He adds: "Content and timing has to be good, and you use a bit more brainpower. It is not the blind media spend." BMW noticed chatter about the X1 soon after plans to produce the vehicle were announced in the fall of 2006. BMW put up a Facebook page about the X1 because, says Douglas: "If we didn't do it, someone else would."